Pick a button to see more photos. 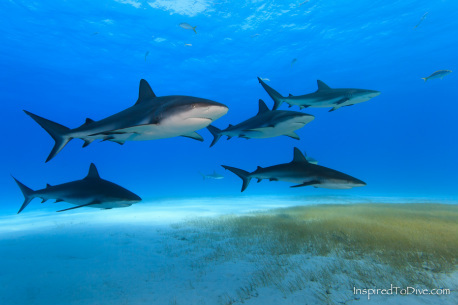 A gallery of underwater photos featuring the sharks of the Bahamas. Don't be afraid as I hang out with those sleek and streamlined fish known as sharks. They're seriously fun if you can overcome your fear. These elegant beauties cut through water with grace and style. The challenge is to try and capture their dynamic nature in pictures that do their splendor justice. Our underwater world would not be so rich without them. A gallery of underwater photos featuring the caves of Mexico. Who could imagine the world you might find when you venture underwater, underground, beyond the light zone to terrain permanently shrouded in darkness? In a place where you can only see what you light, there dwells a submerged land of mystery and intrigue, waiting for the intrepid diver to discover and capture in images what is difficult to describe. If you don't go, you won't know. A gallery of photos featuring the weird and wonderful underwater world of miniatures, particularly those of New Zealand and Mexico. Often overlooked because of their diminished size, cryptic camouflage, unusual habitat or shy character, this is a world worth taking the time to get to know. 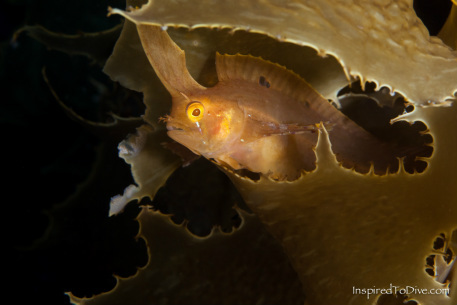 From slow moving nudibranchs to darting triplefins and nipping fish, you need to get experimental to take breathtaking snapshots of the small and sublime.